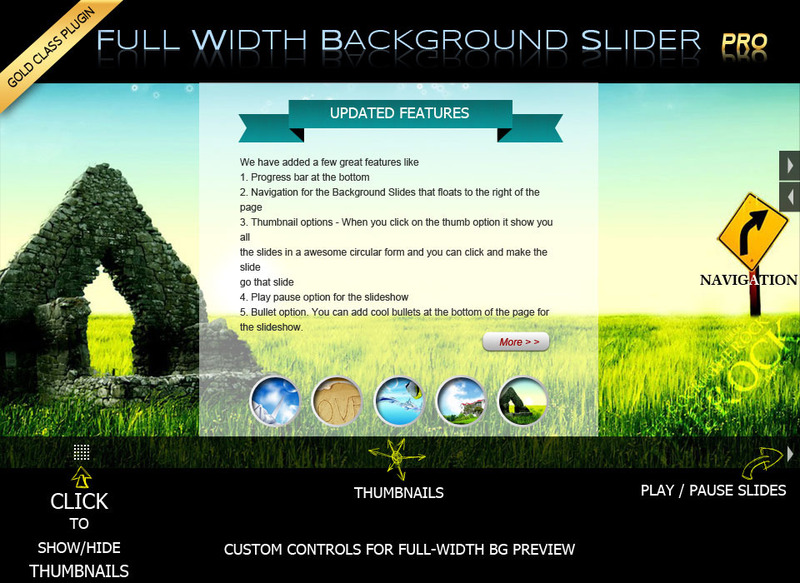 This WordPress plug-in gives a beautiful touch and dynamic feel to any website by allowing you to easily create full-width background slides with numerous built in options. You can create unlimited numbers of slider and assign them to specific posts and pages. If you want, you can use flat colors instead of images. 1. Fixed halfway down image load on page issue. 1. Fixed shop function calling issue for jigoshop. 1. Added an option to enable/disable loader. 2. Fixed shop function calling issue. 1. Added an option in admin settings to enable/disable global slider for WooCommerce shop page. 1. Fixed slider images magnifies issue with few themes. 2. Moved "fwbslider.js" file from header to footer. 1. 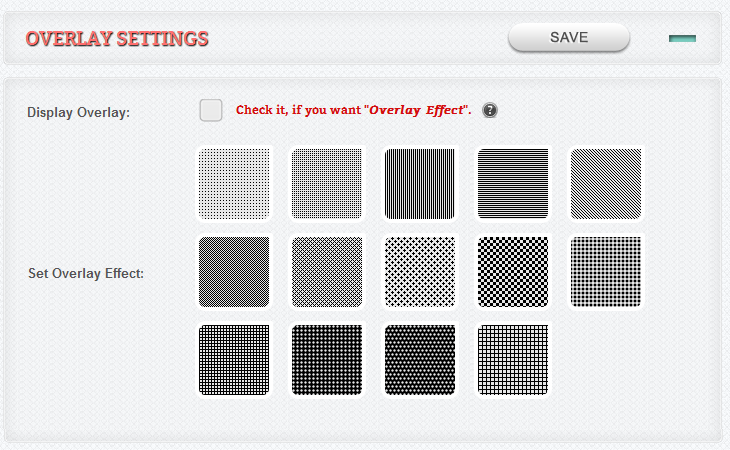 Added auto image cropping system in plugin jquery for all resolutions. 2. Fixed slider control issue in IE with HTML-5. 3. Tested Plugin upto WordPress 3.6. 4. Fixed some style and jQuery issues. 5. Tested plugin jQuery with latest jQuery library. 6. Added slider loading functionality. 1. Added new code to handle slider bottom controls. 2. Fixed some Style issues. 1. Tested plugin with WordPress Versions (3.0.1 - 3.5.1). 3. Updated ajax saved code (width info message). 1. Fixed global variable issue. 2. Updated ajax saved code (with loader). 3. Added plugin pot file. 4. Fixed Patched code to older version. 5. Added make any changes ajax message. 1. 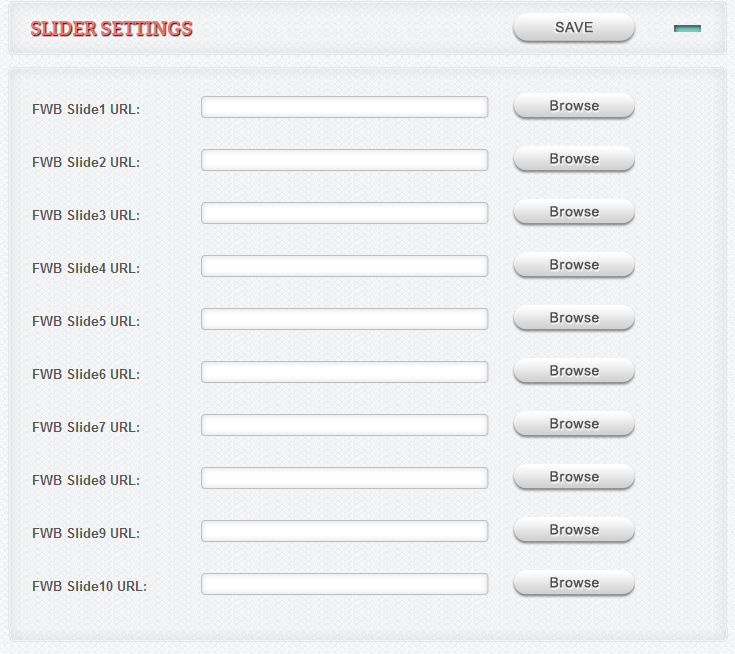 Updated slider admin panel feel and look. 2. 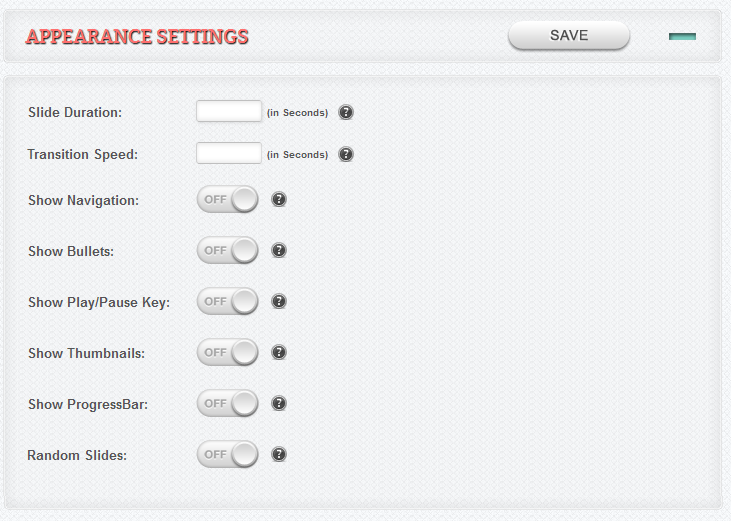 Added "Display Setting" options in Global Slider admin panel. 3. 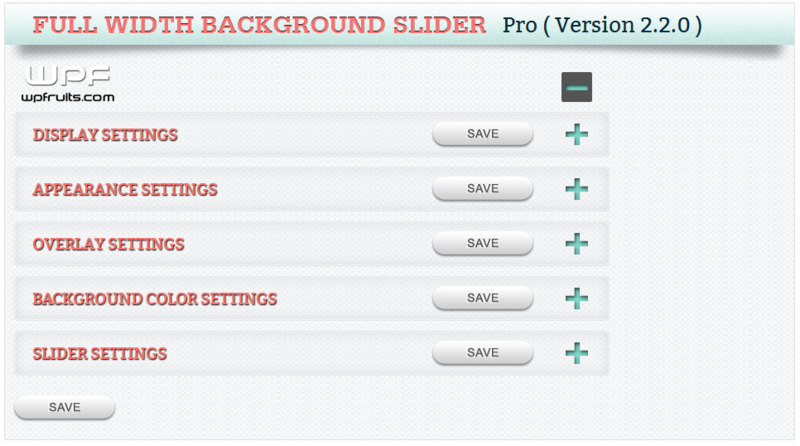 Added slider "Background-Color" and "Random Slides" options in admin panel. 4. Updated Show hide functionality of progress bar. 5. Fixed slider jQuery issues with latest 1.9.0 jQuery library.